In the wake of Pepsigate (the appearance of a corporate blog by PepsiCo at the esteemed scienceblogs.com site), science bloggers are leaving scienceblogs.com in droves, citing conflict of interest. I would really hate to see the loss of scienceblogs.com as a site where science bloggers come together. If they are scattered to the winds, I think that loss of community would be sad, especially in this time when science blogging is doing so well at finding its feet and beginning to significantly supplement traditional science journalism as a way to communicate science to non-scientists. Scienceblogs.com had begun some really interesting intiatives, like Ask a Science Blogger, that work best with a central authority. What’s the right answer? The scene reminds me of a kerfluffle in the fanfiction community a few years ago. (Tell me I’m not the only science blogger who likes to read fanfiction!) The response of the fanfiction community was to come together and build their own organization (The Organization for Transformative Works, or OTW) and their own archive for their work (The Archive of Our Own, or AO3). So, participants in the scienceblogs.com diaspora, if I had my way, you would all come together and find a way to continue your community through a non-profit effort. You don’t necessarily need to have all your blogs on the same site, as the fanfiction folks chose to do. You would only need a central place which organized your blogs. 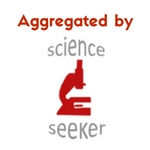 It would provide links to blogs that were good enough to be considered part of your group, just as people have to apply to join scienceblogs.com today. It would organize things like “Ask a science blogger” and have group RSS feeds. And it would be non-profit, so conflict of interest would not be an issue. That’s my take on the matter. Good luck to all who are searching for new blog homes.